EMDR at a glance EMDR, originally developed by Francine Shapiro, circa 1986. Initially developed to address Post Traumatic Stress Disorder, PTSD. Whist using EMDR, therapists quickly realised the client's brain was processing information naturally, but at a much faster rate; this is now known as Accelerated Information Processing, AIP. Shapiro realised by moving the eyes whilst considering a troubling event, the brain would process the feelings to a resolution, allowing the client to move on, stop considering the event or being bothered by it, In the case of PTSD, the client would no longer be traumatised. We have come to understand that our eyes do not move randomly, the positioning of the eyes demonstrates the part of the brain being accessed, and so the emotions experienced. The PTSD experience, is currently believed to be the client's brain attempting to process information to a resolution, but unable to due to missing sensory information from a traumatic experience. By stimulating the hemispheres of the brain through eye movement, the brain will eventually pull the missing sensory information related to the trauma together, allowing the information to be processed to a resolution. The brain having worked the issue through allows the client to come to terms with the traumatic incident, and move on. EMDR is a therapeutic technique which is compatible with several other brief strategic interventions. These interventions can be combined, creating EMDR Plus. 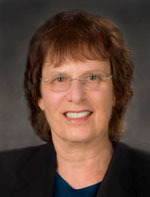 Francine Shapiro, noticed that certain eye movements reduced the intensity of disturbing thoughts. She then conducted a scientific study with trauma victims in 1988 and the research was published in the Journal of Traumatic Stress in 1989. Shapiro noted that, when she was experiencing a disturbing thought, her eyes were involuntarily moving rapidly. When she brought her eye movements under voluntary control while thinking of a traumatic thought, anxiety was reduced. 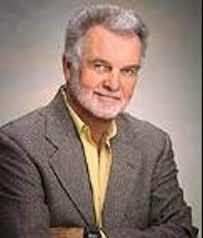 Shapiro developed EMDR therapy for post-traumatic stress disorder, PTSD. She speculated that traumatic events "upset the excitatory/inhibitory balance in the brain, causing a pathological change in the neural elements". EMDR therapy uses a structured, phased approach to address the past, present, and future aspects of a traumatic or distressing memories. The therapy process and procedures are guided by the Adaptive Information Processing model. Reduced feelings of stress, anxiety, irritation and hyper-vigilance - allowing you to rest well, address pressure and/or conflict and go about your daily business without feeling fearful and prone to panic. Apparently our eyes do not move randomly, our eyes move in conjunction with the part of the brain being accessed at the time. This phenomena can be observed in everyday conversation. EMDR theory suggests, reoccurring anxiety develops when our brain is unable to process a thought or event, the hormonal change that accompanies stress, blocks our brain from processing an issue through to a resolution. EMDR theory suggests, we can facilitate the brain to process information relatively quickly and thoroughly to lasting change by eye movements. This process is known as AIP, allowing a qualified therapist to use the EMDR protocol, to help a client process information through to a resolution for lasting change. EMDR is not considered to be formal hypnosis, however the client will access an altered state of awareness, hypnosis, similar to a day dream, which is considered to be clinical hypnosis. This clinical hypnotic state is relatively easily induced and deepened if required. The client remains fully aware at all times during the EMDR session, maintaining total control over what is happening. If required the therapist and client can work content free, allowing anonymity for the client. It is usual for the therapist to address the clients self esteem before the end of the session, after all we can all benefit from feeling better about ourselves. EMDR takes an innovative highly effective approach to change, which can be content free. By adding compatible therapeutic interventions such as, Emotional Freedom Technique, EFT, Neuro Linguistic Programming, NLP, Rapid Cognitive therapy, RCT and a pinch of magic, the SCCP have developed EMDR Plus, a unique approach to change. Why is Everyone Talking about EFT? EFT is a direct descendant of Thought Field Therapy (TFT), a complicated meridian energy procedure, where each part of the body had a specific meridian line to tap. Developed in the 1980s by Psychologist, Dr Roger Callahan. 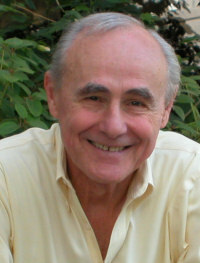 A student of Callahan's, Stanford graduate engineer with an interest in psychology and NLP Gary Craig, introduced EFT in 1995 as a simplified adaption of TFT. It is believed that the feelings in the body are regulated by energy flow. When there is a blockage or build up of energy we experience feelings, such as a tight chest when experiencing anxiety. By tapping on certain meridian points the energy is released to flow and the feelings ameliorate, now that the feelings are no longer driving a thought pattern of, "I am anxious when -" the cognition can change rapidly and completely. We would be offering EFT an injustice to discuss the subject in a few sentences. Here is a video of Gary Craig demonstrating EFT. EFT has evolved into many useful adaptions over the years and can now be found in many forms. Gary originally meant this to be an energy therapy, similar to acupuncture, however EFT has become much more effective when used with other therapies such as EMDR, CBT and NLP if not psychotherapy in general. In the correct hands, EFT is a powerful tool and dramatic results can be experienced however, just tapping on certain points of the body has its limitations, having an understanding of people and psychotherapy can dynamically enhance results and so braids nicely into the SCCP hypnotherapy experience. The history and development of EMDR. 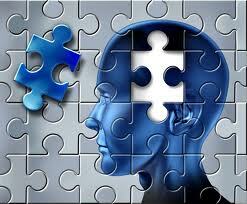 Helping the client to access positive and negative cognition. The clients first therapeutic appointment. The EMDR approaches will be discussed in detail. The EMDR technique will be demonstrated, with the view to working with the client. 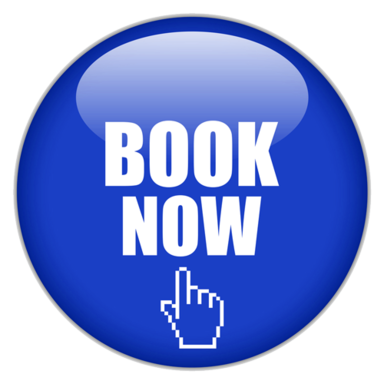 This is an integral weekend in the SCCP Advanced Hypnotherapy Diploma.